Viable cells of Aeromonas salmonicida remained in experimental marine systems after plate counts indicated an absence of culturable cells. These so-called viable but nonculturable (VBNC) cells were coccoid and smaller than their normal culturable counterparts. There was no reduction in lipopolysaccharide of the VBNC cells. There was an alteration in protein composition, however, with a decline in some (15, 70, 30, 22, and 17 kDa), but an increase in another protein (49 kDa). A significant loss of DNA occurred. The VBNC cells responded to fluorescent antibodies prepared against A. salmonicida by developing enlarged and bizarre shapes in the presence of yeast extract and nalidixic acid (the direct viable count technique), and they demonstrated respiratory activity. 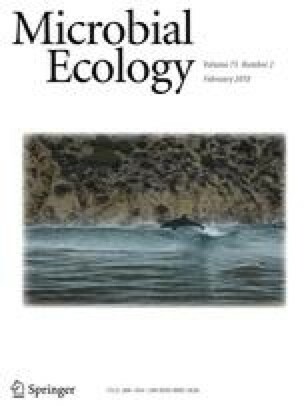 It was concluded that A. salmonicida survived in seawater, but major morphological changes occurred with cells retaining some viability but losing pathogenicity to Atlantic salmon (Salmo salar). 1.Department of Biological SciencesHeriot-Watt UniversityRiccartonScotland, U.K.